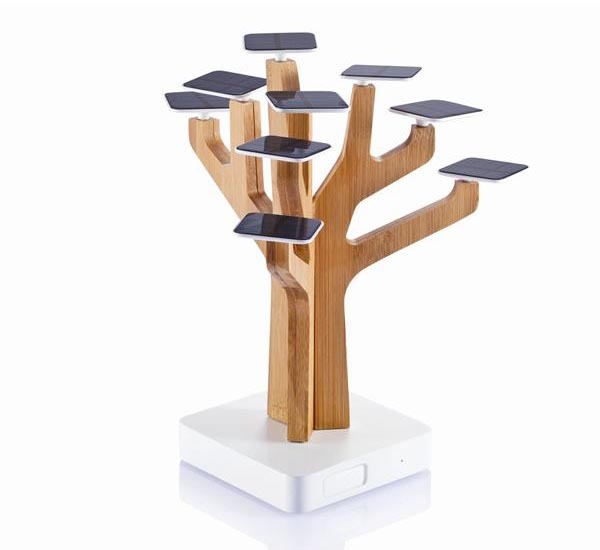 Similar with a real tree, the artificial tree is able to draw sunlight, but that’s for your mobile gadgets instead of itself. If you’re curious, let’s go on checking Solar Suntree solar charger. 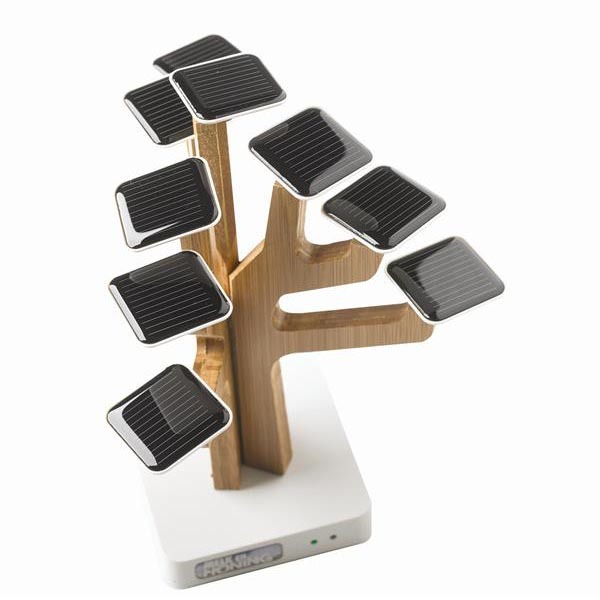 The Solar Suntree is an innovative, eco-friendly charging station that measures 10 x 10 x 22cm and weights 520.6g. 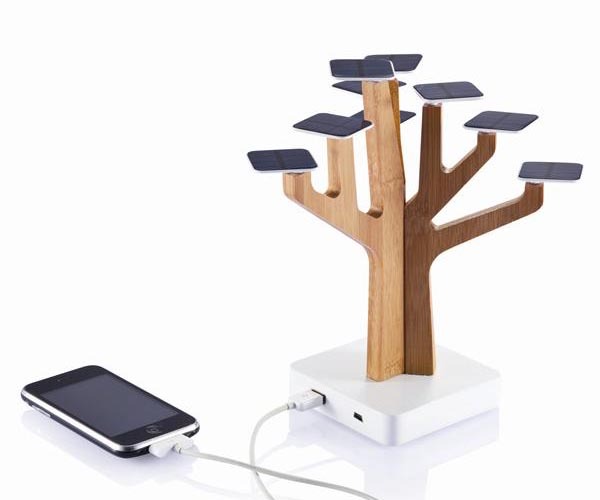 As we can see from the images, the solar charger features a unique tree design, and each branch comes with a solar panel in order to absorb sunlight, converting and storing in a built-in rechargeable battery with 1350mAh capacity, and the integrated USB port allows you to charge your mobile device with ease such as iPhone, iPod, other smartphone and more. In addition to solar energy, the integrated mini USB also allows you to charge the battery via USB port. Solar Suntree solar charger is available in Europe at present, so we have to wait patiently, but if you’re still interested, jump to XD Design official site for more details. Additionally, if you need other options, you might like to check Ray portable solar charger and more via “solar charger” tag. i’d like to know which is the cost per product and costs of shipping. We ipotize to buy 100 pieces. We’re so sorry for the delaying reply. We think you could get the accurate answer from XD Design.